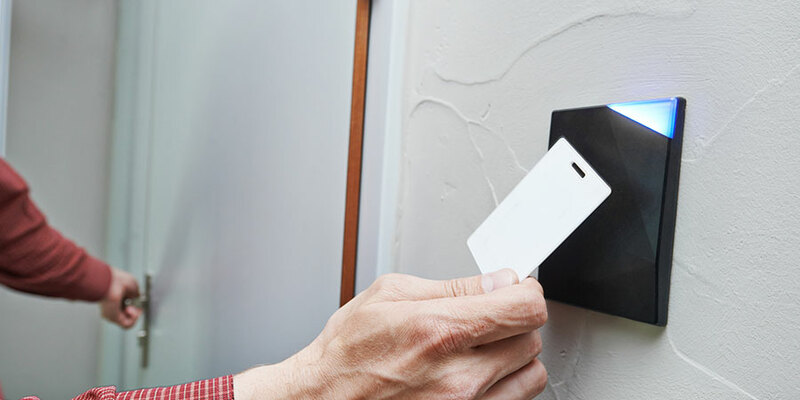 How Does Access Control Work For Businesses? Exec. Director of Operations at Commercial Fire & Security, Inc.
A successful thirty-five year career in the electronic security industry that includes building and leading the 33rd largest Electronic Security Company in the United States, with a proven executive track record in increasing revenue and opening new markets. Access control systems give employers total control over the site’s most secure areas, information and assets. These electronic systems far exceed the function of locking and unlocking doors. There are other powerful features involved, and they’re designed to greatly improve the security of commercial buildings. Here are some of the other important functions of access control systems. Access control systems can be managed and tracked, giving employers an easy-to-read record of all swipes at the card reader and indicating whether or not these attempts were authorized and successful. This is useful in the regular course of business, but it’s absolutely critical if there is ever an attempted security breach. And when video verification is involved as well, the efficacy of the system is even greater. Employers can view video of those who attempted access at any time logged into the record, giving them insight that’s difficult to obtain otherwise. Access control systems can be managed and tracked, giving employers an easy-to-read record of all swipes at the card reader and indicating whether or not these attempts were authorized and successful. Access control systems are also ideal tools for employers to track the time and attendance records of their staff members. When there are salaried employees who are not required to clock in, the access control record of the employee can fill the gap by informing the employer about attendance. Even if an employee’s attendance never comes into question, knowing about any unwanted patterns of tardiness, truancy, or excessive overtime is valuable business intelligence every employer needs. Get advice from the one of the oldest commercial security companies in the country with practical tips for protecting your business from the threats of theft and loss prevention, along with practical life safety tips you can implement today to protect people and profits. In today’s security-sensitive climate, every business is at risk of employee safety breaches. Disgruntled workers can have their credentials revoked if a threat appears imminent; likewise, terminated employees can have theirs deactivated the moment they are given notice of their new status. No matter what protocol your business follows, its employees can be safer because of access control. And of course, access control systems keep your workers safe from external threats by those who are not employed there, but would attempt to enter under malicious pretenses. These are some very powerful reasons to consider taking advantage of access control systems. New York employers that would like to learn more can contact Commercial Fire & Security for more information; we will be glad to offer a free consultation to discuss your options. About Commercial Fire & Security Inc.
Commercial Fire & Security is a family-run, locally-operated company where security is our one and only business. We live and work in the communities we protect, and our Five Diamond, Certified Alarm Monitoring Center has your back 24 hours a day. Call us at 855-237-3300 to request a quote or speak with our experienced security professionals.